Scrubbing or floor and surface scrubbing is performed with specialised scrubbing equipment that use rotating brushes and detergents that combine to cut through, loosen and remove dirt and grime, even if dirt has built up over time. Regular scrubbing of floors ensures a more hygienic safer environment for staff and customers and can also keep stock, plant and equipment dust free. All of our floor scrubbers have abrasive brushes and pads that scrub the surface removing all kinds of grease and ground in grime. This is done using heavy-duty biodegradable detergents and chemicals combined with water. This is then sucked up with the use of squeegees and high volume vacuum, leaving the surface virtually dry and able to use in approximately 15 minutes after completion. Therefore allowing you to get back to business with minimal down time after cleaning. Betta Sweep choose to only use environmentally friendly, biodegradable cleaning detergents and materials that pose no threat humans, our ecology and fauna. Betta Sweep has a full range of industrial floor scrubbers ranging from walk behind, gas or battery operated ride-on floor scrubbers catering for all applications including the food manufacturing industry. 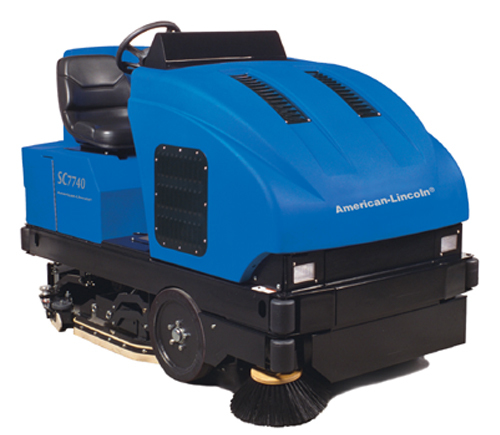 All our floor scrubbers are fitted with a specialised vacuum system that filters the air and ensures a dust free environment.